I have to start off by apologizing for not posting this recipe sooner, since so many of you have for it in the past. Here it is just in time for Cinco de Mayo – my Mom’s Famous Chunky Tomato Salsa! Also, especially for Cinco de Mayo, I’ve prepared two menus for you at the end of the post, complete with appetizers and desserts. One of these menus is also vegan and gluten-free. 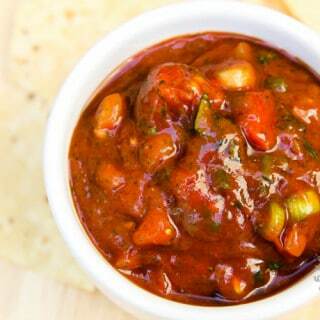 To this day, whenever there’s Mexican food around, you can guarantee a huge bowl of my Mom’s delicious home-made chunky red salsa to compliment the other dishes! 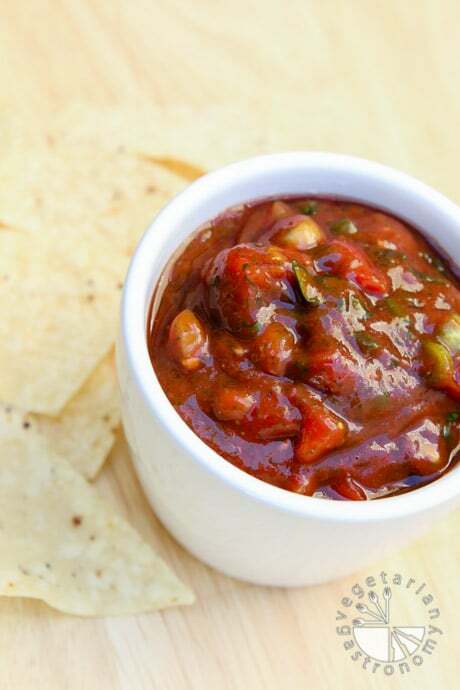 For any family/friend potluck, there is always a request for this salsa. 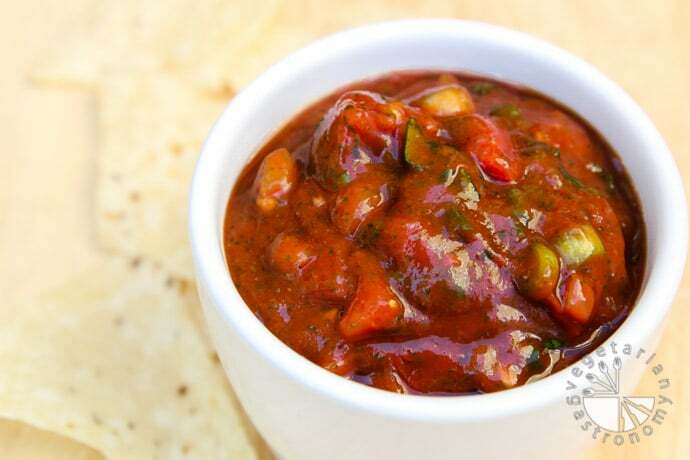 When I first moved for college, I remember asking my mom for the recipe to make this salsa for friends, but it wasn’t until I moved down to San Diego and that I started making this salsa for dinners and parties. Similar to my mom, my friends always requested it and made sure I made extra to go. It has also been a staple appetizers kids’ birthday parties. 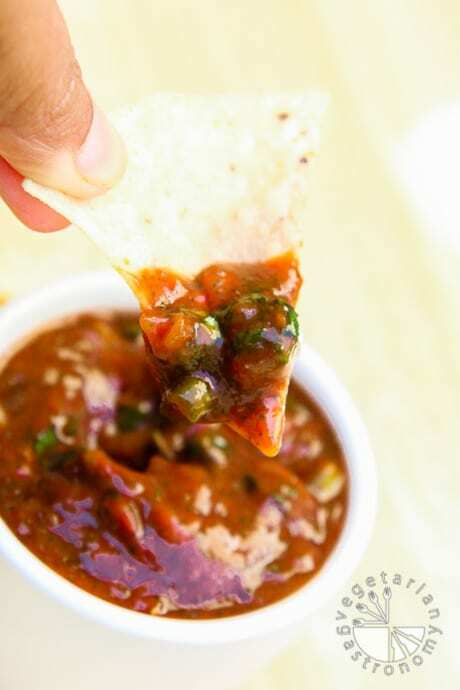 And of course, every Cinco de Mayo party needs some tortilla chips and fresh salsa – Roasted Tomatillo Salsa & Chunky Red Salsa! 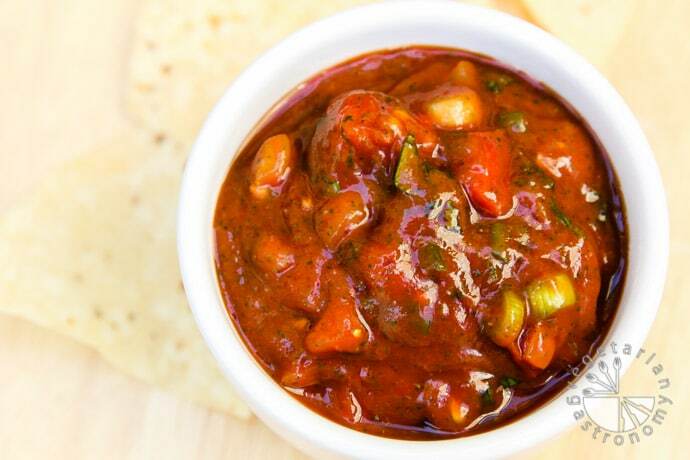 If you're looking for a crowd pleasing salsa that'll leave people asking for the recipe, this is it! It's chunky, full of fresh ingredients, and easy to make ahead of time! Completely puree the tomato sauce, 1/2 cup cilantro, and deli sliced jalapenos in a blender (or hand blender). Remove the contents of the blender into a medium mixing bowl. Add the chopped green onions, red onion, remaining fresh cilantro, tomatoes, and fresh jalapenos. 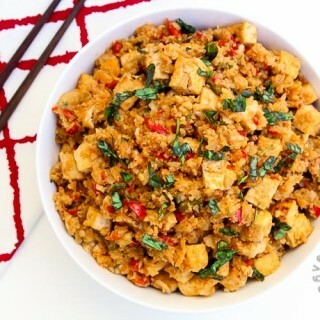 Add the garlic powder and mix with a spoon until all the ingredients are combined. Season with salt as needed. 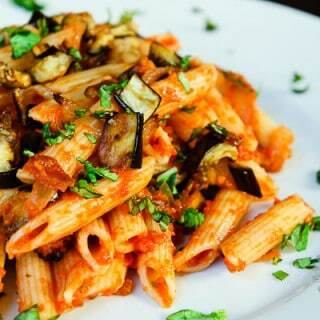 For best results, chill in the fridge for a few hours or overnight prior to serving. The salsa will thicken up while in the fridge. Enjoy!